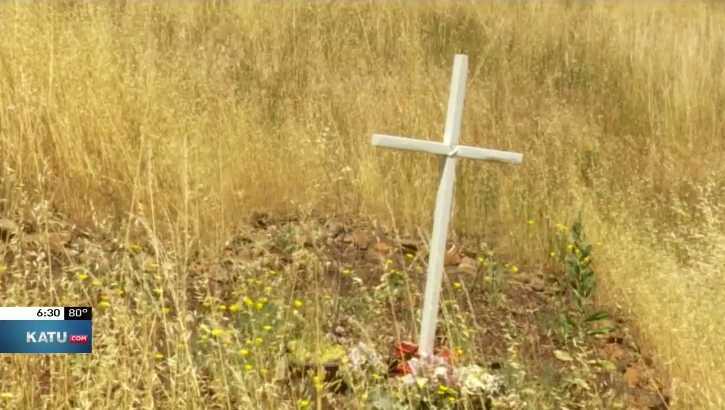 SALEM, Ore. — A prominent professing atheist organization is seeking the removal of roadside cross memorial in Oregon, which it states is an unconstitutional government endorsement of Christianity because it sits on public property. The Wisconsin-based Freedom From Religion Foundation (FFRF) recently sent a letter to the mayor of Salem to advise that it had received a complaint about the cross off Kuebler Boulevard. It said at the time that it did not know the origin of the display. FFRF requested that the cross be moved to private property instead. This week, the mayor of Salem told reporters that the cross is actually a memorial to a mother who was killed in a car crash at the location, and had been placed by her children. The immediate area around the cross, which is covered in mulch, stones and flowers, is maintained by the family. While he acknowledged that the memorial is on a public right-of-way, Bennett said that he doesn’t see the cross as serving as a government endorsement of Christianity. “It’s an endorsement of a family’s love for their mother and their sadness at her loss and their desire to commemorate her memory,” he stated. However, Cheryl Kolbe, the Portland-area leader of FFRF, asserted that the intention of the cross does not matter and that it is still unconstitutional. The City is looking into the matter, but has not yet indicated one way or the other where it stands on the issue. As previously reported, two years ago, the family of a late school teacher removed several crosses from a memorial erected in her honor at a West Virginia middle school after FFRF likewise asserted that the display would be seen as the school endorsing Christianity.